I’ve gone ahead and nicknamed her Helen, as in Helen of Troy, a woman who launched a thousand ships in the quest to bring her home. We all know how well that ended but fear not, I am happy to report that this Helen will not be the cause of war and death but the bringer of joy. Why the comparison to Helen? The story goes that Helen had the blood of Zeus in her, was the most beautiful woman in the known world and that any man who laid eyes on her simply had to have her. The dreams and fantasies she sparked ran in the thousands but men could only gaze at her and dream that perhaps, if he played his cards right, maybe one day she would be his. So many dreams, so many fantasies, so many hopes… Now this is where my comparison starts to make sense because when you know the whole story of this Helen you can join me in pondering how many lives were changed, the thousands of dreams she launched, how many fantasies sparked by this very guitar. 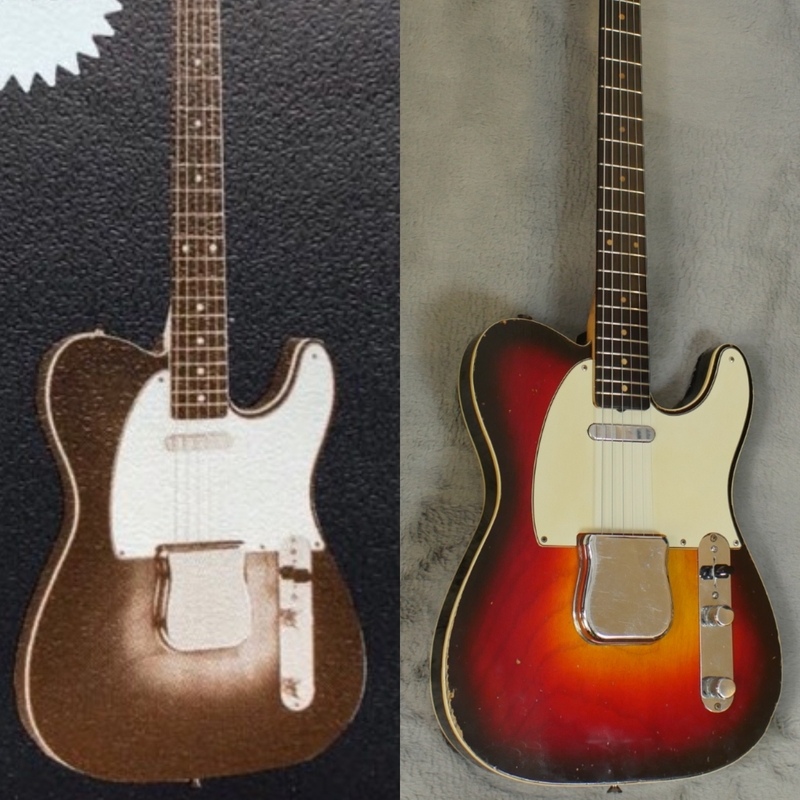 She was, for 6 years, Leo’s Super Model when it came to Custom Tele’s - until innovation ended her career but certainly not her story. She has risen like Lazarus thanks to the passion and drive only found in ATB’s exceptional Restoration & Repairs Lab along with the vision of ATB’s owner Mike Long, who found her shipwrecked on the rocks of time in LA. 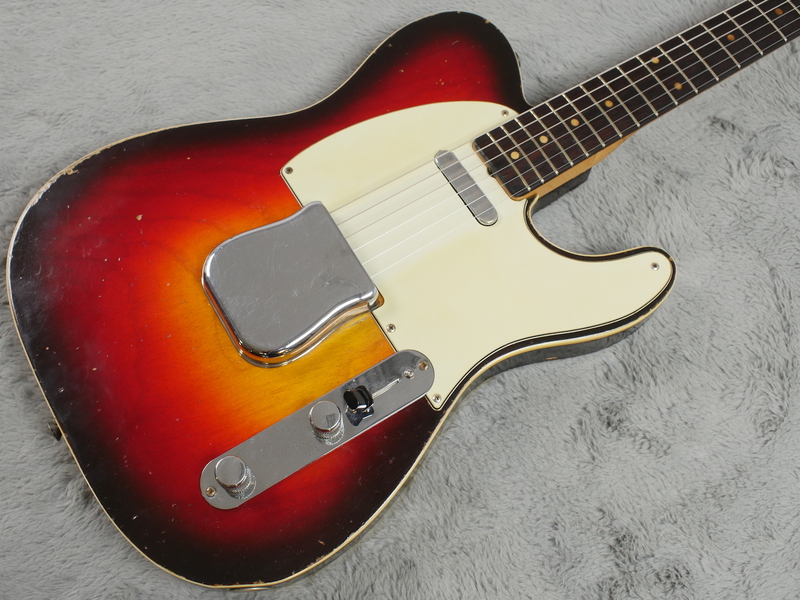 Helen made a modest debut in 1959 as Leo’s poster girl for his Custom Telecaster model and we believe, with a quick change of the pick guard, served as the model for the Esquire Custom as well. Like any good model, Helen had more than one look. It was simpler days and until innovation and design changes forced her retirement she served as THE fold out, short catalogue model for every printing from 1959 to 1966. How do we know this? Good old-fashioned detective work on the part of Dafydd, Mike and a LA guitar store manager who painstakingly matched Helen’s distinctive wood grain pattern with every catalogue during those years and like a fingerprint, no two are alike. She was the prime example for a reason as she was gorgeous with her unique features that included one of the very first rosewood slab boards made with a walnut truss rod plug while also sporting a distinctive skunk stripe on the back. In addition she has a very unique one piece ash body in a dark wide burst finish that is rich and deep and appropriately brings to mind rubies and amber. We think you will agree, just like those rare adornments our Helen is a jewel - and equally precious. From Craigslist to Cheltenham: Oh, the convoluted paths life can take us on and how varied the destinations and resting places can be. Helen’s story is a mystery but one of the few things we can be sure of is that she was from Southern California and probably stayed there until Mike swept her up and escorted her to Cheltenham. She was made in Fullerton at the original Fender HQ and chosen by their in house advertising team as their best and possibly only example. I’m guessing she was probably a bit of a hussy and passed around the office and probably not returned to the warehouse. Did Leo play her? Can’t guarantee it but highly likely. How long did she stay in the office as the spokes model for the Custom Telecaster before she was most likely sold or given to a Fender employee? Impossible to say but I suspect she probably did stay ‘in house’ for a while until eventually going to a new home and her fate. Life has its up and down but at some point Helen fell on hard times based on the condition Mike found her in LA. She was in a deplorable state at a dealers booth who was about to outfit her with all modern parts and Mike, horrified at the thought, had to find out more. The dealer shared she was purchased by someone on Craigslist in the LA area as a serious fixer upper but despite her state her good bones still showed. Whoever got her from Craigslist eventually decided it was too big a job and took her to a dealer, who in turn sold her to another dealer, the one who brought her to LA where Mike heard her call for help. One of the things I admire most about ATB? Their credo to meticulously and slavishly adhere to authenticity at all costs and after being informed she was about to be despoiled with modern parts… Well, Mike simply couldn’t let that happen and instinctively knew she would rise again under Dafydd’s deft hands a good dose of love. Indeed his instincts proved true as Helen has returned from guitar rehab more beautiful than ever. Now all she needs to complete this journey is a new guardian owner who will cherish her restored voice, gorgeous body and lovely neck and despite Helen’s checkered past we feel this gal deserves a happy ending. What it took – a global quest: ATB’s Guitar Surgeon, Dafydd Owens, along with intrepid owner Mike Long, worked like mad to bring her back from the dead for two and half months, starting back in August 2018. They started diligently and meticulously breathing life back into the husk Mike first laid eyes on that literally consisted of a body, neck and neck plate. What on earth happened to Helen that she should be in this state? We shudder to think but in a testament to the skill found behind the doors of ATB, Dafydd eventually resurrected Helen into the gorgeous creature you see today. The biggest challenge was finding all the period correct parts and Mike reached out to every resource he had all around the globe to find all the pieces needed. Finding genuine, period correct pots were the most difficult but find them they did. The only thing ATB could not source was an original 5 hole green guard, however, a solution was found by working with a highly specialised parts fabricator on the Continent who hand aged this custom reproduction to mimic a 60 year old original. After all that it took, the faith that we had from the beginning, it is with great pride we present this unique Custom Tele for sale and have faith that when the right suitor’s eyes fall on Helen she will finally have the love and care she deserves… Is it you? She launched a thousand dreams… Helen is restored to her former glory and thanks to ATB’s world-class craftsmanship this historically significant guitar has not been lost to time, neglect nor shoddy repair. 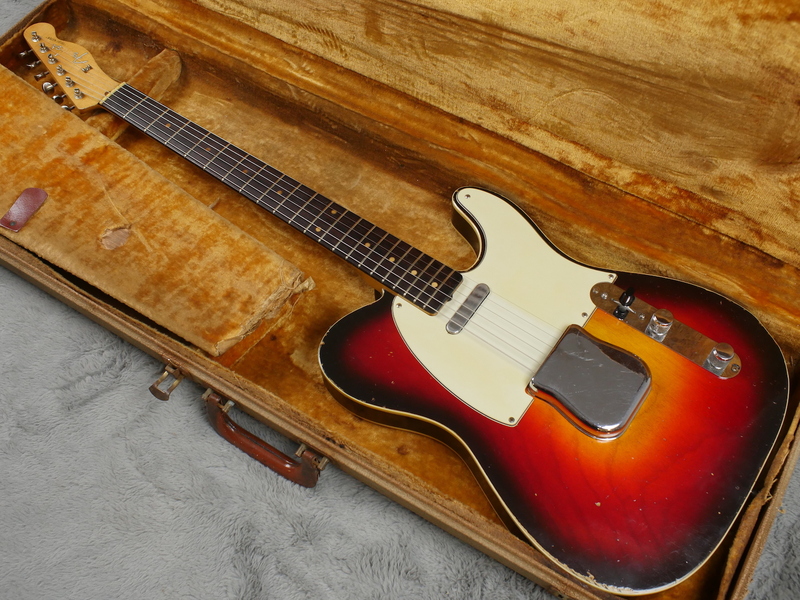 This guitar truly has a story, a soul of her own and is not just any guitar but the guitar chosen by Leo himself to represent his best work when it came to Custom Telecasters. When asked to write this piece I settled on the Helen of Troy comparison because, like her, how many young men gazed at her in bed at night or on their work break and dreamed? How many careers were launched or hopes realized because of her? She was the prime example for 6 years and I dare to estimate thousands of eyes rested on her and sighed and inspired savings accounts and overtime to buy one. 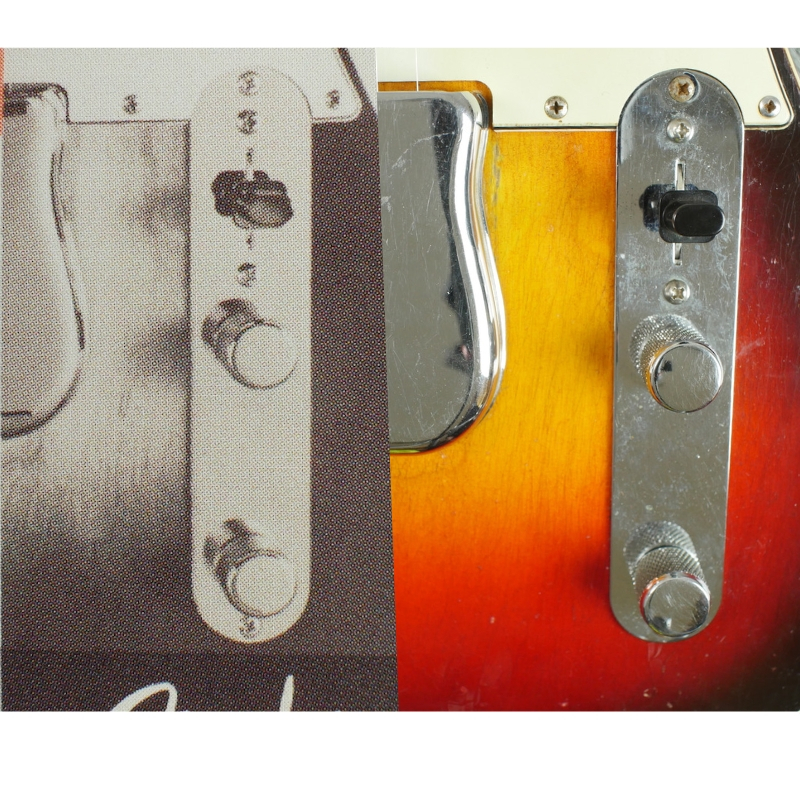 Just think about it – you could own the guitar that launched a thousand aspirations and goals and is perhaps one of the most dreamed about Telecasters ever. In the end, Helen she doesn’t care about all those other men - she just wants you. We know all she wants is to hear that you promise to love her and to tell her she finally has safe harbor and a forever home. Rock on and dream big – California Girl.